The last round I made this cake, it tasted great but looks wise, it wasn't great. It turned out looking grey and dull, my friends commented it looked mouldy even. Of course it wasn't mouldy but the look turned him off and he refused to eat it. I looked in the net and most of the black sesame cakes all look greyish and not black. Does it mean, I need to put colouring in the chiffon cake? No way! I like it black but I don't want to put in colouring. I would like a natural looking black cake without colouring. Just like the pandan chiffon cake with pure pandan juice that turns it green without colouring. So I improvised and experimented and added in some bamboo charcoal powder. Yes! It looked much better this time round. It was black instead of grey and still has a strong sesame flavour. It was a hit with my family. Put egg yolks, brown sugar, black sesame powder/paste and bamboo charcoal powder in the mixing bowl and mix well until sugar is dissolved. Add water and canola oil and mix well, making sure it is well blended. Add flour and mix till batter turns sticky, then fold in sesame seeds. Put aside. Using the mixer with the whisk attachment, put the egg whites in the bowl and beat it until it is foamy. Add the cream of tartar, half of the castor sugar and half of the corn flour and continue to beat for a few minutes. Then add the remaining sugar and corn flour and beat till egg whites are smooth and glossy and with stiff peaks. Taking care not to over beat it. Checking it in every few strokes. 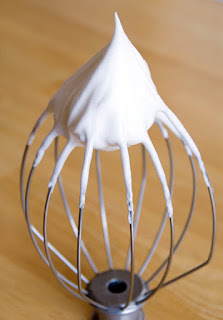 Using a spatula, add one third of the meringue into the egg yolk mixture and fold in very lightly, then add in the rest of the meringue and fold to incorporate completely. Do not over mix as the sesame paste in the mixture will cause the air bubbles in the meringue to deflate, thus making it heavy. Pour batter into an ungreased chiffon cake tube pan. Bake for 50-60 minutes. When cake is done, remove from the oven and turn the pan over on a rack leaving it to cool completely. When it is cooled, turn it back up and using a knife, go round the pan to remove the cake from the pan. 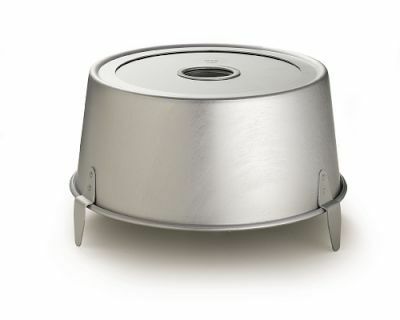 Chiffon cake tube pan with legs. Turn it upside down like that when cooling the cake. Stiff peaks, smooth and glossy. Qualіty content is the сгucіal to be a focus fоr the vіsitors tο раy а visіt the wеb раge, that's what this site is providing.